You knew it had to happen sometime this year, and it’s happening, perhaps sooner than you would have liked. The first Mercury retrograde of the year starts soon. 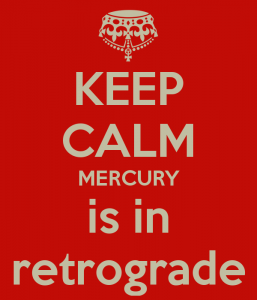 Mercury retrograde January and February 2015 begins on January 21 and lasts until February 11. 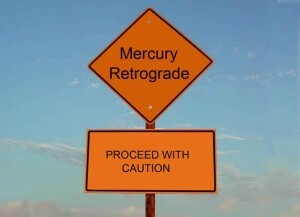 Mercury retrograde occurs in Capricorn in Vedic astrology, or Jyotish. 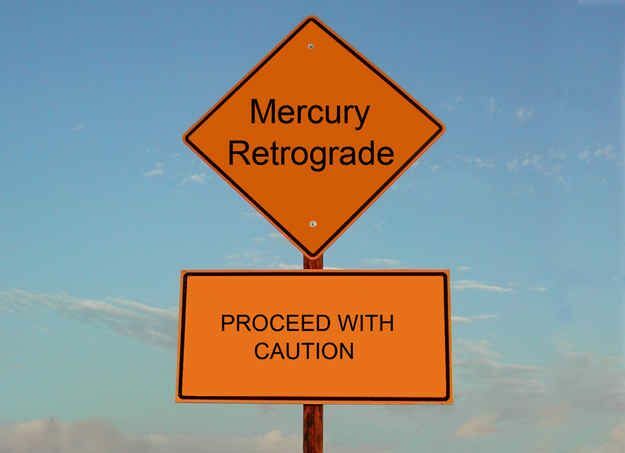 While many people dread periods when Mercury is retrograde, Vedic astrology offers a variant perspective than Western astrology. In Vedic astrology, Mercury retrograde makes the planet stronger. What is most problematic is when a planet goes from being direct (forward motion) to retrograde or from being retrograde to being direct. For any planet to change direction, it first has to slow down, then stop moving, and slowly regain momentum. Liken this to wanting to make a U-turn but being stuck with traffic from both sides, so you can’t move for a long time. Presently, Mercury is coming to a virtual standstill. 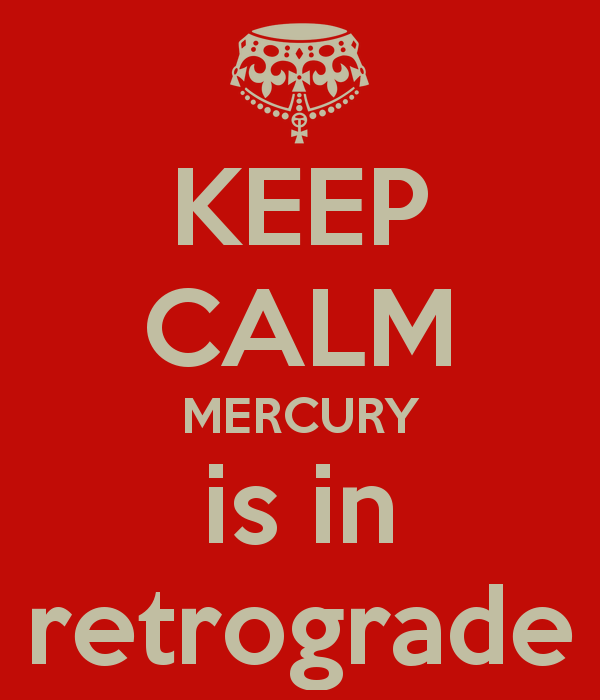 Mercury retrograde begins at 7:50 AM Pacific time on January 21, 2105. This is problematic for Mercury more so than other planets. As the second fastest moving planet after the Moon, Mercury is quick, impulsive, and changeable. Mercury indicates communication, both oral and written. It is also connoted with technology. With Mercury just inching along, there is the potential for communication to be stalled or for disruptions in communication. It may take multiple conversations or emails to convey a particular point. Mercury retrograde January and February 2015 happens in Capricorn, the 10th house of the natural zodiac. In the natural zodiac that begins with Aries, Capricorn represents one’s career. There can be misunderstandings in the workplace or undelivered communications. As the indicator for commerce, Mercury is powerfully able to use its versatility and intellect to create opportunities for itself. There is emphasis on the thinking mind in communication, but the thoughts may be repetitive. With retrogression comes the notion of repetition, renewal, and revisiting of situations. This can bring up situations where previous business alliances are reformed. 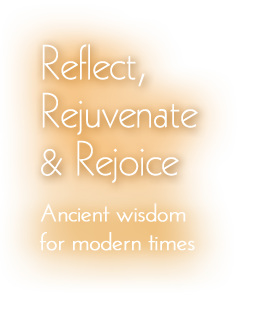 Mercury retrograde January and February 2015 begins in the nakshatra or constellation of Shravana. Shravana is represented by the ear, and is associated with ancient oral traditions. This placement of Mercury in Shravana can heighten the opportunity for teaching, but you will want to make sure that your point is conveyed properly. You may have to repeat your message a few times for it be clearly understood. Also be mindful that idle chatter does not give way to gossip. Shravana also has a strong connection with idealizing the opposite gender. People with prominent natal placements in Shravana can often be in love with love. Thus with Mercury retrograde in this constellation, you may want to be extra mindful of your dialogue with your significant other. On February 5, Mercury retrograde moves into the nakshatra of Uttara Ashadha, which has an innate connection to writing. It can be an ideal time to revise, review and revisit your instructional material, your publications, and your speeches. Mercury’s proximity to the Sun creates a phenomenon known as combustion, when a planet may feel stifled in expressing its true nature. Combustion begins on January 26. The worst combustion will be on January 29th and 30th. Mercury’s combustion ends on February 3. In Ayurveda, Mercury is our majja dhatu or our nervous system. Mercury’s retrogression can make us even more sensitized, so that people or situations can “get on our nerves” more than usual. When Mercury is combust we can literally “feel fried”. Be careful not to overtax yourself during these days. Mercury likes to move swiftly; when it slows down, we get frustrated and our nervous system is more taxed. Ayurveda offers herbal tablets, Ayurvedic tinctures, and herbal powders to help deal with stress and anxiety. Mercury goes direct in Capricorn on February 11, 2015 at 6:50 AM Pacific. Again, you want to be extra careful on the days when it goes out of retrogression and starts moving forward. It returns to its regular daily movement on February 23, 2015. The specific influence of Mercury retrograde January and February 2015 will depend on the placement of planets in your personal chart. Those in a Mercury planetary cycle or in a cycle of planet natally placed in Shravana or Uttara Ashadha should pay special attention to this transit. 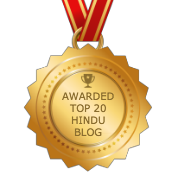 A personalized Vedic astrology reading will take all these details into consideration.